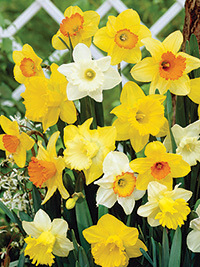 A carefully selected mix of varieties including doubles and other fancy varieties. Made up by hand, EVERY pack has a minimum of 10 different varieties in it. If you've been disappointed with cheap mixes elsewhere, try this and see the difference.